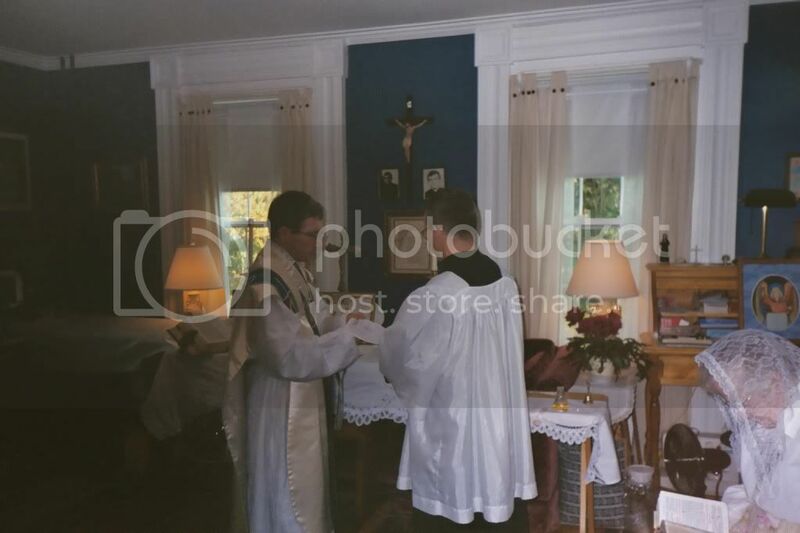 I thought it might be neat to see pics of brothers, sisters, cousins, aunts and uncles who are priests or religious. 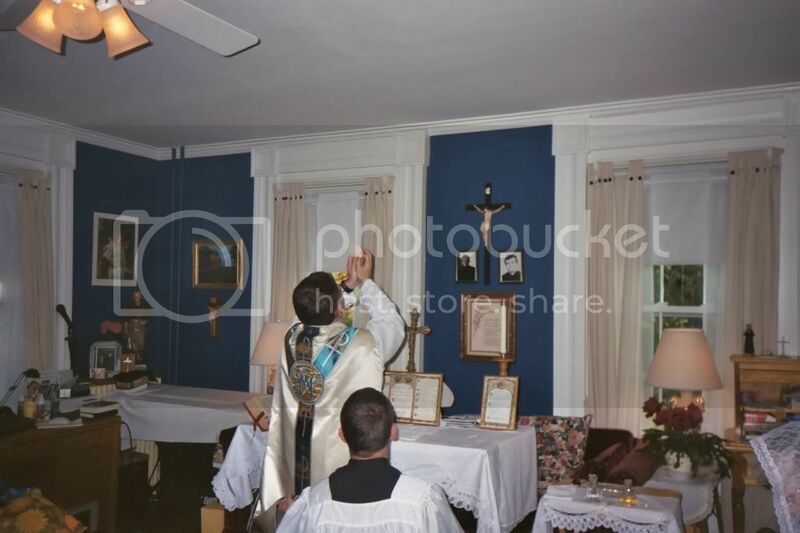 Here are pics of my brothers; Father David Nichols, SSPX and His twin Brother Gerard, SSPX respectively saying mass and serving mass at one of my other brother's house. Does anyone else have pics to share? My sister is a Carmelite, but I don't think she'd be too happy with me putting a picture of her online. I actually just learned that my great aunt (I've never met her) has been a nun for decades, but I'll have to ask my grandma for a picture. God has blessed you and your family. Wonderful pictures. I have relatives who were priests and nuns back in the day in the Philippines. I need to get their names, then I'll contact the Archdiocese of Manila for pictures. I have some great aunt nuns, but the only pictures I have are like a hundred years old and are in frames somewhere. My grandfather wasn't a religious but I did learn that after he retired from Oldsmobile he became a lobbyist for the Diocese. I thought that was neat. My uncle said he really liked it, after working in a factory most of his life, now he got to wear suits and ties. Wish he hadn't died when I was a few months old. +RIP Robert W. Peters! Well, supposedly my great great grandfather was born in Hungary to a Priest and his servant. As soon as he was born he was shipped off to America and his last name was changed to his relatives or friends of relatives who adopted him. I still think my family is cursed because of this! No pictures of the Fr. My dad's aunt was a BVM teaching sister. 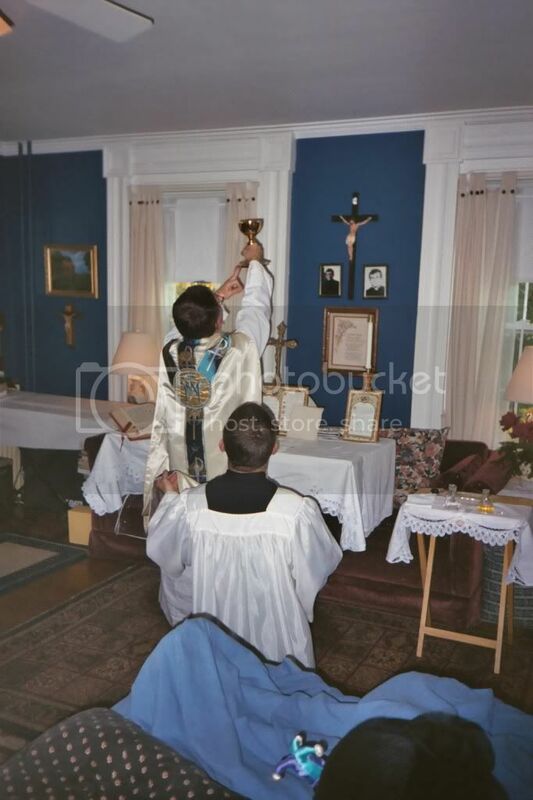 By the time I was born and knew her, she'd been habitless for years, but I've seen pictures of her in her original habit and then the streamlined habit the BVMs wore later on before the Dark Times. My grandma still has her sister's rosary beads. (01-18-2012, 10:14 PM)MorganHiver Wrote: [ -> ] Well, supposedly my great great grandfather was born in Hungary to a Priest and his servant. As soon as he was born he was shipped off to America and his last name was changed to his relatives or friends of relatives who adopted him. I still think my family is cursed because of this! No pictures of the Fr. I doubt that. Many sons of clerics went on to become popes!